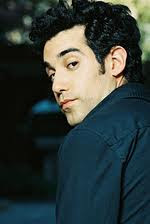 I first heard Joshua Radin when he had two songs on The Last Kiss soundtrack. He is a good friend of Zach Braff's, so he also put Joshua's songs on some episodes of Scrubs (or as my dad and I call it, Scrubbies). My friend Natalie and I saw him perform a great show at Midtown's Center Stage. Here is his song, We Are Okay. This song was on my favorite photographer's (A Bryan Photo) website, where he filmed a large family walking through Central Park. Maybe it's creepy I'm showing it, (because I don't know these people), but I just thought the video with this song was super cool. The Barker Family from A Bryan Photo on Vimeo. our taste in music is way too similar. why did I not know this before?